Toronto – Once in awhile you just need some power chords in your life. This was my conclusion after listening to a short but sweet set by Chicago trip The Smith Westerns, in town to promote their sophomore release Dye it Blond. The trio took the stage shortly after 10:30 to a generous ovation from the capacity crowd, most of whom are on the right side of twenty. I was a bit surprised at the size of the crowd, as was the band, who commented on how the crowd had doubled since the last time they were in town. The buzz from Dye it Blond has been quite palpable, stemming perhaps, from an extremely favorable Pitchfork Review. The trio played a forty minute set which consisted of material new and old. With most songs clocking in at around three minutes, the show moved along at a brisk pace, with the band stopping sporadically to address the crowd (all be it in a youthful manner). I was pleased to see a band shamelessly using power chords. It was a great supplement to their retro hook laden garage rock sounds. The entire Smith Western discography could of soundtrack a movie like Gross Pointe Blank, which I guess is fitting since John Cusack is from Chicago as well. Highlights included All Die Young, End of the Night and Still New. Following the mantra “always leave the audience wanting more”, the band exited stage left after about forty minutes and did not return for an encore, much to the disappointment of everyone. I just assumed they had run out of songs. Overall I found myself enjoying the show more then I expected. 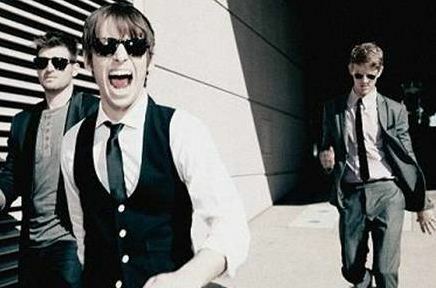 They are playing SXSW next week and from what I’ve seen, will be well on their way to some serious stardom this year. 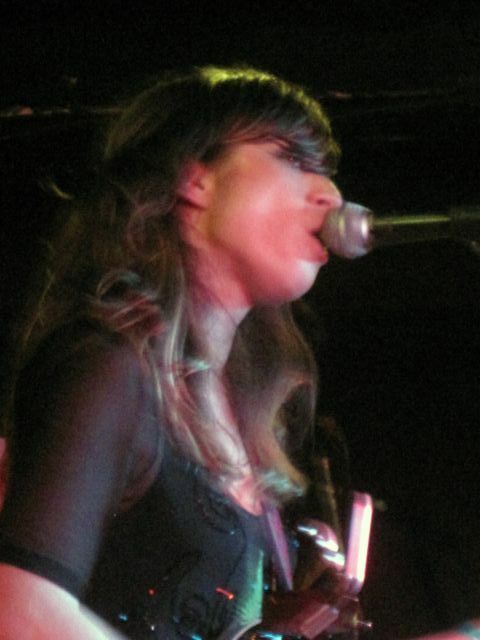 Toronto – Nicole Atkins certainly has quite the voice. That was the main thing going through my mind as I watched the New Jersey singer perform with her band, The Black Sea. Only being somewhat aware of her previous output and having not yet heard her recently released Mondo Amore album, I had nonetheless heard a lot of good buzz about her live show and Nicole Atkins certainly made an impression. She impressed not only with her voice but with her songs. Highlights were “Maybe Tonight,” “Oh Canada!” (not the National Anthem) and “Cry Cry Cry,” the latter being a song she co-wrote with Robert Harrison of Austin power poppers Cotton Mather. She also played a cover of a Cotton Mather song, which I enjoyed as they’re a band that doesn’t seem to get that much recognition. While were on the subject of cotton, the opening band was Cotton Jones. Coincidence? I think not. It’s the cotton conspiracy, folks, and Nicole Atkins is right at the centre of it all! Oh sure, she’ll try to lull you into a sense of security by complimenting the audience and saying it was “like playing to a sea of muppets.” She’ll charm you with her story of getting a guitar signed by Ray Davies of The Kinks “… and the guy who was standing next to him” because she didn’t want that guy (who I assume was Davies’ guitarist or something) to feel left out. But don’t be fooled. She’s … OK, I’m going nowhere with this “cotton conspiracy” angle, I made it all up. Carry on, folks. Toronto – With Lily Allen on the constant verge of collapse, it would seem that the door has been left wide open for many artists to capture the heart of the UK and indie nation with sharply written bubbly summer pop music. 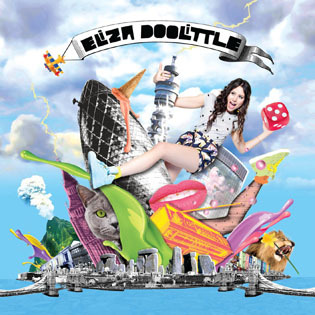 Enter Eliza Doolittle, a cute twenty two year old brunette whose pop songs seem to channel the good time vibes of 60s girl bands and motown while sounding somewhat modern at the same time. Eliza’s self titled debut record has already done extremely well in the UK charts and she is now ready to take her act to the shores of America. It looks like Austin, Texas will be her Normandy, only instead of blood and guns, she’ll be making a landing armed with a cheery voice and music perfect for spring.